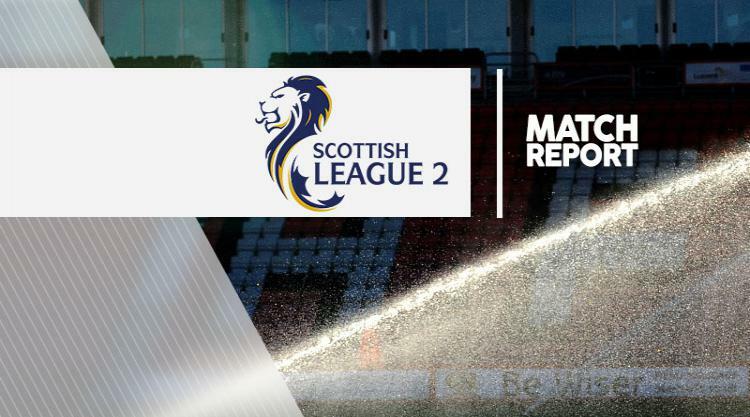 Forfar extended their lead at the top of the Scottish League Two table to seven points with a hard-fought 2-0 win over Berwick at Station Park. David Cox scored just before the interval with a neat header from six yards out, and Lewis Milne added a second four minutes from time. Arbroath moved into third with a comfortable 4-0 win over Clyde thanks to a quickfire second-half brace from Martin Scott. Bobby Linn was on target in the 31st minute, finding the bottom corner with a neat finish, and Scott scored two in two minutes in the second half to clinch victory for the hosts before Ryan McCord added a fourth late on. Cowdenbeath overcame Montrose 2-0, with Nikolay Todorov firing them ahead from the penalty spot in the 20th minute after Cammy Ballantyne fouled Kris Renton in the area. And it went from bad to worse for the visitors when Ballantyne was shown a red card in the 29th minute for a foul on Craig Johnston. The hosts extended their lead through Renton's 57th-minute header. Stirling moved up to seventh after securing a hard-fought 3-2 win at second-placed Elgin. Darryl McHardy found the bottom corner with a left-footed strike in the 29th minute, but Stirling equalised early in the second half when Marc McKenzie headed home at the back post from an Eddie Ferns cross. The visitors moved ahead when Blair Henderson pounced from close range after Sean Dickson's shot had been saved by the goalkeeper. Brian Cameron thought he had rescued a point for his side with a 76th-minute strike but Jamie Mills scored the winner late on. Basement club Edinburgh snatched all three points in their game against Annan thanks to Ryan Porteous' header in the 81st minute.